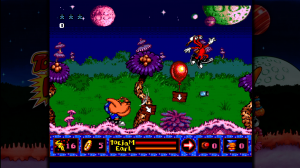 In the original ToeJam & Earl, players have to help the alien duo explore the craziest planet they’ve ever visited: Earth! After a rough crash landing, pieces of their spaceship have been scattered across a giant, constantly-changing landscape. Help them avoid hazards and collect all the pieces so they can get home to planet Funkotron. Genesis sequel ToeJam & Earl in Panic on Funkotron, meanwhile, has our alien heroes return safely to their home planet only to discover that their ship had stowaways! Funkotron is now infested with wild Earthlings who need to be put into jars and shipped back home. Both titles have been updated with support for achievements and trophies, as well as full online co-op support. For more information about ToeJam & Earl and ToeJam & Earl in Panic on Funkotron, please visit www.sega.com. For press assets please visit www.sega-press.com. For more news, follow SEGA on Twitter @SEGA or “like” us on Facebook. Microsoft, Windows, Xbox, Xbox 360, Xbox LIVE, and the Xbox logos are trademarks of the Microsoft group of companies.